Thank you for choosing Shively Motors! 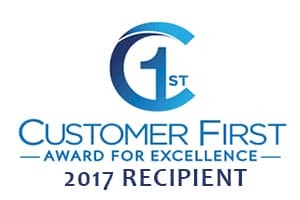 When you purchase your new or pre-owned vehicle from us, you bought more than just a vehicle. Your purchase includes the 5 Star Peace of Mind plan! 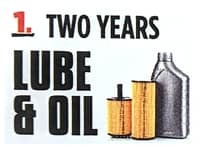 TWO YEARS LUBE AND OIL! 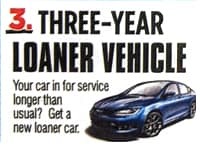 Your vehicle comes with two years lube, oil and filter changes (maximum of 4) at no charge. Your 2 years starts at the time of your first service visit. 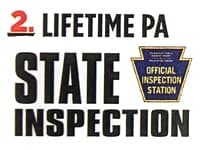 As long as you own your Shively vehicle, PA State Inspections are performed at no charge. It does not include the cost of repairs if needed. PA emissions or inspections are not applicable. Included with every service. 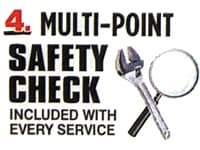 Multi-point safety check performed by our factory certified technicians. 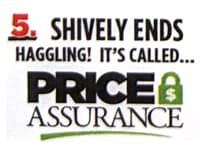 Shively ends haggling. The prices on our vehicles have been set by conferring with True Car, Edmonds.com and Kelly Blue Book. We call it Price Assurance, you can call it Peace of Mind.